On this day in 1968 Southport travelled to Billy Bingham’s Plymouth Argyle. Since his departure from Haig Avenue in February of the same year this was to be Bingham’s biggest defeat. 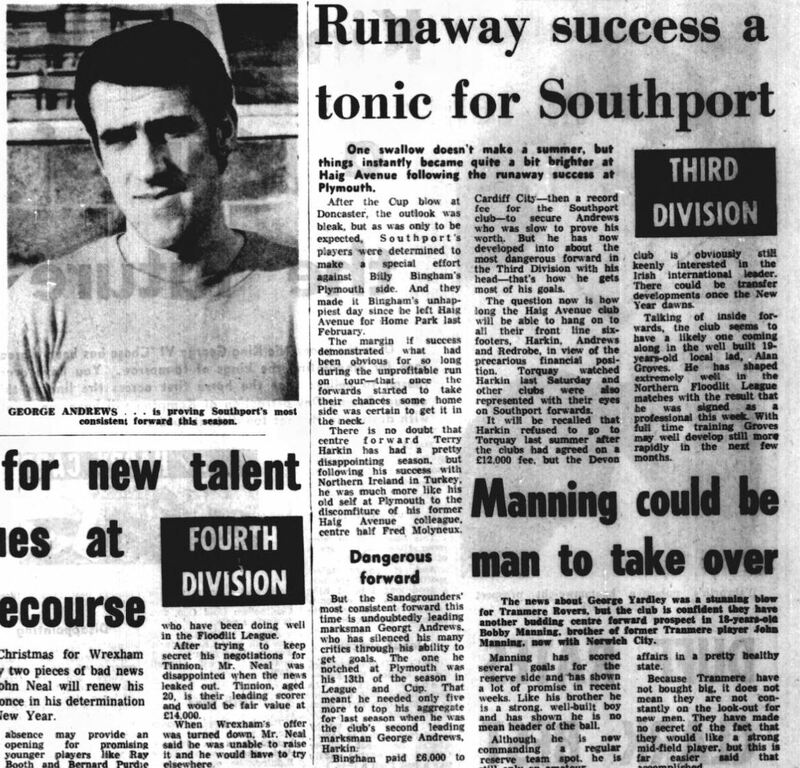 It was the Southport forward line however that took all the headlines as this article from the Liverpool Echo shows.